NEY YORK MEDICAL COLLEGE, Valhalla, NY. 1992 - 1996, M.D. Biomechanical analysis of tibial strength after harvesting unicortical tibial grafts of two different lengths. Hong Y, Sharma KM, Parks BG, Mill SD. Foot Ankle Int. 2008 Jul;29(7):726-9. Biomechanical analysis of tibial strength after harvest of unicortical tibial grafts from two different sites. Hong Y, Parks BG, Mill SD. Foot Ankle Int. 2006 Mar;27(3):190-5. 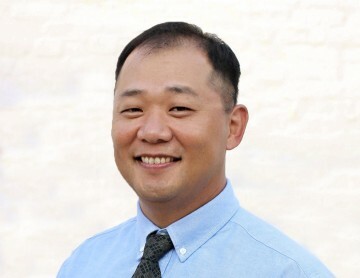 Dr. Yuhwan Hong is a foot and ankle orthopedic surgeon who’s practice focuses on arthoscopic and reconstructive surgery of the foot and ankle including ankle replacement. Total knee replacement and fracture care of upper and lower extremities. He began his medical career in the United States Air Force as a general medical officer. He received his medical degree from New York Medical College and continued at Union Memorial Hospital to complete his orthopedic surgery residency. He went on to pursue a subspecialty fellowship in foot and ankle reconstruction. Dr. Hong has been in practice for more than 20 years and has co-authored several articles. He has been practicing orthopedics in the Sacramento area since 2008. Dr. Hong is board certified by the American Board of Orthopaedic Surgery and holds professional memberships from the American Academy of Orthopaedic Surgeons, the American Orthopedic Foot and Ankle Society. When not at work, Dr. Hong enjoys carpentry and cabinet making, metal work and fabrication, as well as mountain biking and SCUBA diving. Erin J., Surgery Coordinator & Special Study Scheduler, is available to assist in any questions and scheduling of your surgery. My Medical Assistant, Breanne, is available to assist you with questions relating to your care and help you fill your prescriptions.